Though Obama has frequently spoken of the need for more “Green Jobs” he has failed to acknowledge the inherent environmental advantages associated with a curious plant called hemp. One of the earliest domesticated crops, hemp is incredibly versatile and can be utilized for everything from food, clothing, rope, paper and plastic. In an era of high unemployment, hemp could provide welcome relief to the states and help to spur the transition from antiquated and polluting manufacturing jobs to the new green economy. 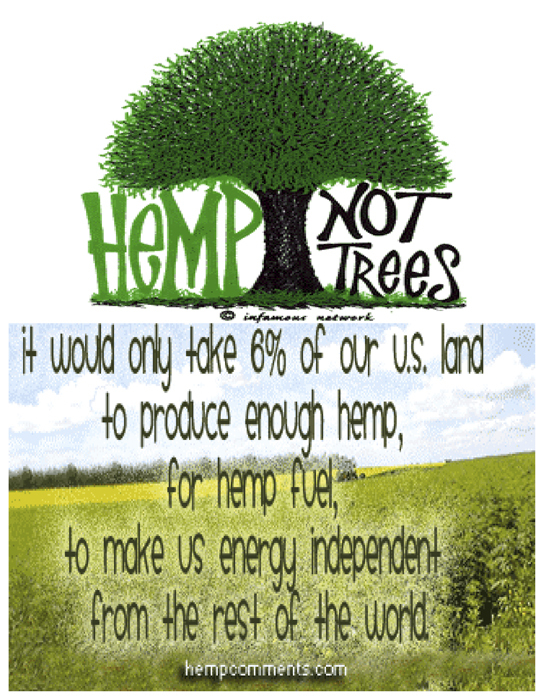 What is more, in lieu of our warming world and climate change, the need for environmentally sustainable industries like hemp has never been greater. Given all of these benefits, why have Obama and the political establishment chosen to remain silent? The explanation has to do with retrograde and backward beliefs which have been hindering environmental progress for a generation. A biological cousin of marijuana, hemp contains minute amounts of THC or tetrahydrocannabinol (THC), a psychoactive chemical. Even though advocates say one would have to smoke huge amounts of hemp to get high, the plant occupies a highly dubious legal status in the U.S. During the 1970s, Congress declared hemp a “Schedule I” drug under the Controlled Substances Act, ridiculously lopping the plant in the same category as heroin. Though the authorities allow farmers to petition the federal government to grow hemp, the Drug Enforcement Administration or D.E.A. has proven incredibly resistant to such licenses and for all intents and purposes the crop has remained illegal [ironically enough, however, the U.S. imports many hemp-related products from abroad].